Good morning, everyone! 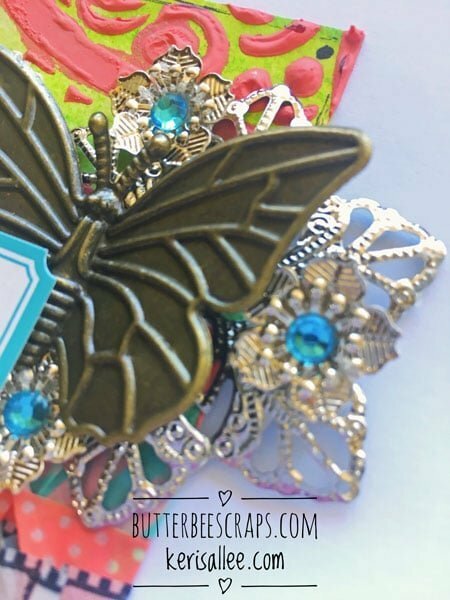 This post is a very long time coming…several months ago, design team member, Keri Sallee, left the ButterBeeScraps design team. This is her last and final project. I’m a little sad because I no longer have a design team (as you have probably already noticed); however, with every change there is a new opportunity, right? 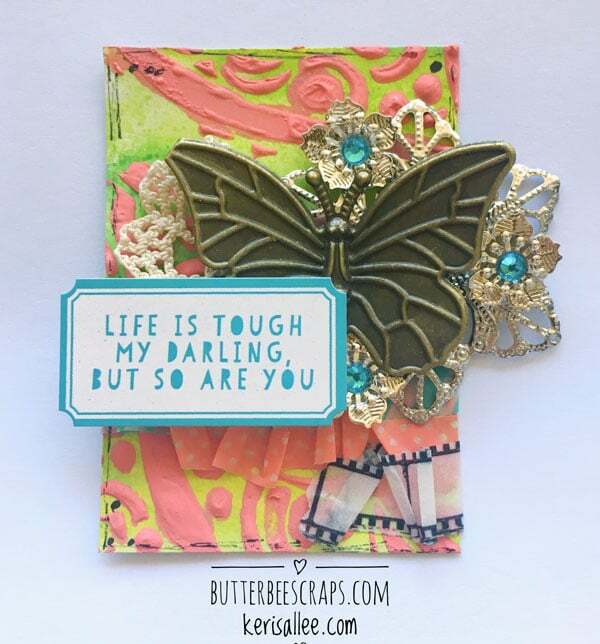 Keri created the background of her ATC using Inktense blocks, which work a little like watercolor pencils. She then mixed paint with clear modeling paste and used it with a stencil to add a bit of texture to her background. 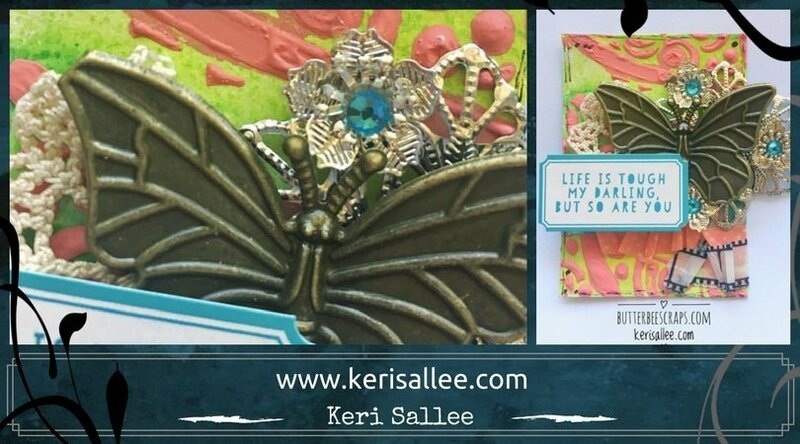 For more details on how Keri created this colorful background, I suggest you have a look at her blog post right HERE. She goes into a bit more detail and shares a few more photos of the process. After the background had dried, Keri started layering a vintage doily, washi tape, ButterBeeScraps metals, and finally a ticket with a great saying I think we need to remind ourselves of from time to time 😉 The ButterBeeScraps products Keri used include a large silver flower (#283-P), three small silver flowers (now discontinued), a bronze butterfly (#887-B), and SS20 Aquamarine flat back glass rhinestones. Well, that about does it for Keri’s last DT project. Thank you, Keri, for sharing your talent with us, and doing a great job as part of my team! Best of luck in all of your future endeavors! …and, of course, I thank everyone else for coming on over to visit little ole me here on my blog and taking the time to peruse today’s blog post. Cheers!